Valencia CF is seriosly interested in Levante's Vicente Iborra and Valencia CF sporting director Braulio was seen in the match between Levante and Helsingborg closely monitoring the player, though few other players as well. I actually forwarded the idea of raiding some of the best players of Levante last season and was actually pretty sure we'd get at least one player from Levante, but it didn't pan out like that. Now Valencia CF staff is thinking along those same lines and Braulio and Llorente think Valencia CF can raid one or two of Levante's better players, right now Valencia CF is most interested in Vicente Iborra. Vicente Iborra is a defensive midfielder, though he can play and often plays as central midfielder as well. 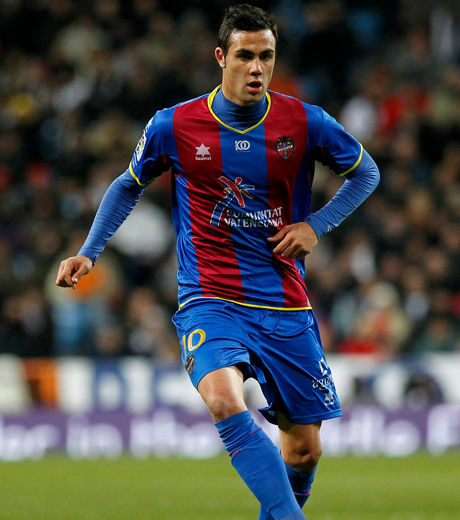 Mostly though he is used as a defensive midfielder for Levante and he's had fairly good success, though he also often plays as a central midfielder. So it really depends, its important that he can play in two possitions very well. He is also quite young at 24 years old and can obviously improve. I haven't seen many games of him, so I can't really comment if he is really good, though I'll try and keep a closer eye on him from now on and see if he is Valencia CF material.